I got my Celtic Amplifiers Edana today. It's more beautiful in person than in pictures. Here it is in my ideal setup with the Lil' Dawg Mutt. 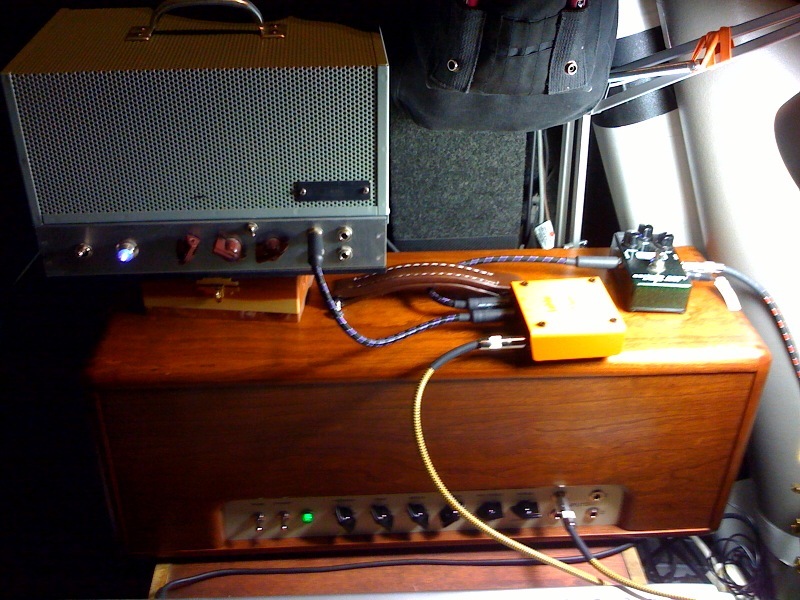 This is a quick little recording with this setup -- the amps are turned way down ;-) This is a Gibson Les Paul Custom Shop Custom into an MXR analog delay and thorough a Lehle splitter. The Edana is going to a 12" Celestion Alnico Blue and the Mutt is going to a 10" Weber. Actually, you hear relatively little of the Mutt in this recording. 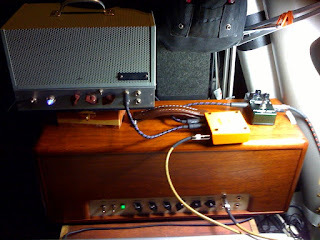 The mic is an SM57 and we're recording through a Neve 1272 and an Apogee Mini-Me converter.